Provide the customer all of the information we can about each vehicle including 20+ pictures, video and a full description with all important details. A competitive market base price based on the vehicles year, make, model, miles, equipment, and condition so the customer does not have to come and waste time negotiating. Our commitment to your total satisfaction always begins with the price. Saves you time searching endless websites. We want to be your only choice. 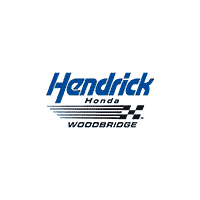 At Hendrick Honda Woodbridge we have made every effort to ensure that your car buying experience is a pleasurable one. That is why we use a very comprehensive technology system to competitively shop and then price our vehicles before they go on the lot for sale. Visit Hendrick Honda Woodbridge today to experience our HAGGLE-FREE Pricing!